Welcome to Five Star Soda – if you’ve made it this far, we trust you love soda just as much as we do. Let’s get to work, people. Craft soda is booming. From colas to creams to citrus-flavored things, we’re fascinated by all the unique flavors, colors, bottles, bubbles and everything else a well-crafted soda entails. So, what’s the fizz? Our passion for soda was born at an early age. As kids, we always gravitated to what was unique, those old fashioned-style sodas that came in bottles and just tasted better. Today, more and more bottlers are harkening their brewing methods back to the old days and trying to recapture that magic. And that’s what we want to talk about here whenever we can: local businesses that have a passion for what they do and brew their sodas in small batches using high-quality ingredients. It’s such an exciting time in the industry as brewers use old methods to concoct new flavors and try new takes on old ones. 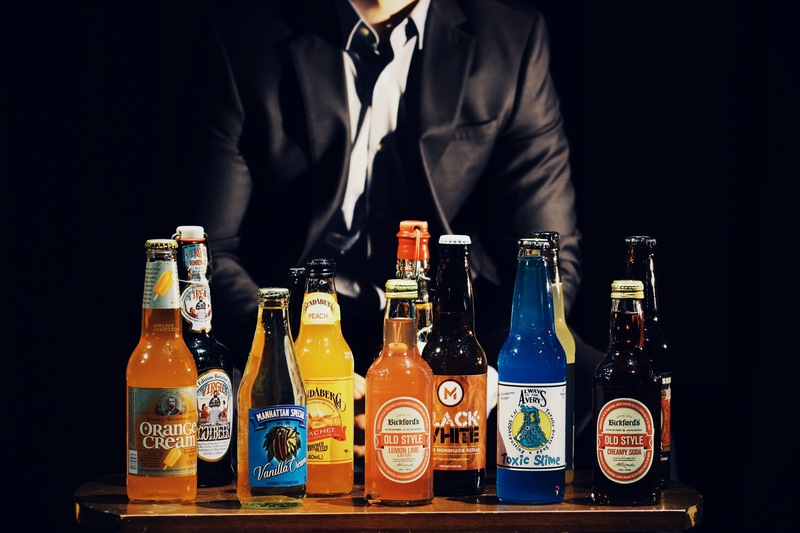 As craft soda’s popularity expands, it’s hard to keep up with all that is out there. Ever see a soda on the shelf at the store or online, but you’re just not sure about it? Worth the money? What’s the flavor? Why does the bottle look like that? This is why we’re here – to inform the people and hopefully dish out some helpful reviews. Every soda has a story. We hope our reviews inspire you to find the right ones for you. Because there’s something magical about finding that soda, right? We hope the search lasts forever. Cheers. All photography is taken by the staff of Five Star Soda unless otherwise noted. All content © Five Star Soda 2015. I own a boutique coffee roasterie in Ferndale, Michigan, called Chazzano Coffee Roasters. You liked one of my posts on Instagram about our two new all natural sodas:Brooklyn Born Coffee Soda and Fruit of the Bean Cascara Soda. There’s a great story about each soda. Are you interested in reviewing our soda? How does that work? The soda is very small batch in our cafe/roasterie.